The Santa Fe Chamber of Commerce Workforce Development/Education Committee is seeking sponsors and committee members to help with priorities such as connecting education with future workforce needs, influencing education policy at the state and local level, support for regional early childhood efforts, and reducing SFPS drop-out rates. The Committee recognizes that chronic absences often lead to poor grades and low skill levels, which can be detrimental to a student’s future and hopes the recently established Every Day Matters initiative inspires improved student attendance. Outstanding attendance brings students one step closer to achieving success after high school in college or career path they choose. Future sponsorship of the Every Day Matters initiative is planned in conjunction with the Santa Fe Public Schools. To encourage school attendance, names of students in grades K-12 who did not miss more than two days in a school year are entered into a drawing for a prize. 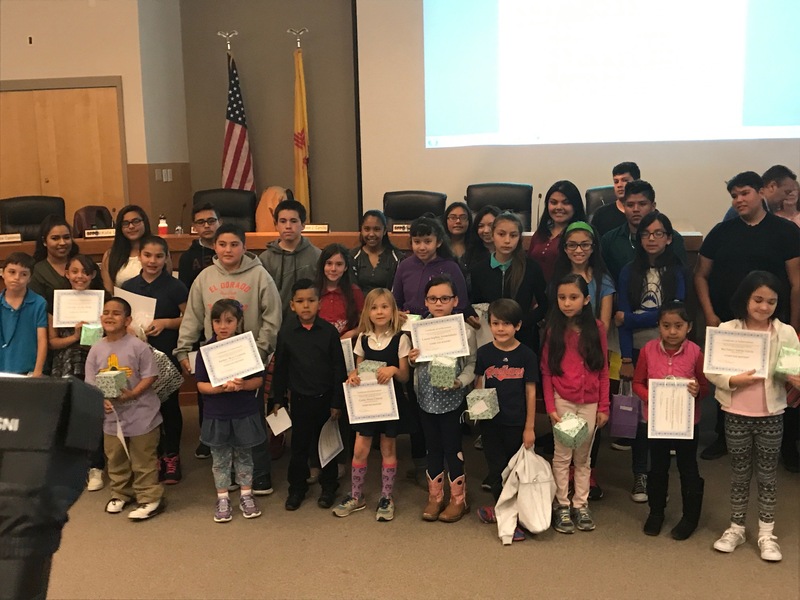 Recently, three students from each grade received a gift valued at a minimum of $100 due to the outstanding donations received from Chamber members and local businesses. Contact Kathy L. Jahner, kathy@santafechamber.com or call 505-919-9698 for additional committee information.